We operate 24/7 365 days a year. 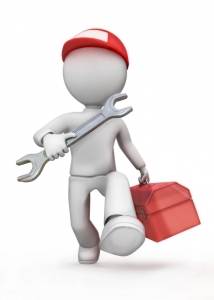 If your equipment fails we have engineers ready to attend and aim to return your equipment Safely back into service. We are able to take on all aspects of lift repairs or breakdowns whatever the size and promise to respond as quickly as possible, . Fast Response Time – We have many Engineers working across our operational area to enable us to rapidly respond to your needs. Our aim is to respond to emergency breakdowns from 2 hours depending on the service contract you choose. No Equipment Limitations – We are able to offer our services on a wide array of equipment including OTIS, Kone, Schindler,Pickerings, Stannah and many more. Remote Technical Support – Our Engineers use the latest technology to support them in the field. They each carry ipad devices to provide ’Real Time reporting‘ to our customers and office Admin. This also enables our Engineers to have a vast amount of equipment manuals and technical information to hand whilst on site. Parts Availability – All engineers carry a comprehensive stock of common lift components. We also have accounts with the majority of lift manufactures that enables us to quickly source any parts that may be required. Electronic Reports – All of our documentation is in electronic format, so weather its a Visit report, Risk Assessment, Test Certificate, Invoice or Quote, once it has been generated it can be emailed to you immediately. Report A Breakdown – Call our 24/7 Free Phone No: 0800 161 3121 . You will be asked some general questions and the nature of the problem. We will arrange for the nearest Engineer to attend site and diagnose the Fault. You will then receive an electronic visit report detailing the works carried out along with any recommendations that we may have. If further works are required, a quotation will be generated for your acceptance.